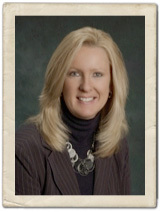 Born in St. Paul, MN, Julie has lived in Colorado, Arizona, Wisconsin, Minnesota, Florida and now Alaska. She has worked with Foley, Foley & Pearson since December, 2010, as an Executive Trust Assistant focusing on estate planning support and funding. Julie has two grown sons. She enjoys spending time with her husband exploring the Alaskan outdoors. Julie's background includes many different legal specialties, including, most recently, legal assistant for a large workers' compensation defense firm in Florida.